Growing up on a farm is a rough life for a kid. I had to get up very early and help my mom gather eggs and help my dad milk the cows, all so we could make breakfast. I used to say to myself that I never wanted to be farmer when I grew up. At the time I didn’t realize the valuable skills I was being taught, but now, I constantly thank my parents for all the gardening skills they taught me as a kid. After college, I moved to the city and got a job and a place to live. Eventually, though, gas and food prices started rising and rose faster than my income. It wasn’t very long after that I both started riding my bike to work every day and decided to start a garden in my backyard with hopes of growing some of my own vegetables. Local farmers gather on the street sides and set up their stands to sell organic fruits and vegetables. One of my personal favorite items to buy is organic honey. Most of the time I can get it straight off the comb! Farmers markets are not only a local resource for fresh fruits and vegetables, but also a fun place to meet others who are also interested in eating organic, healthy foods, and finding out information on local gardening clubs and organizations. Vegetable gardening provides those of us who enjoy the outdoors a social component, as well. Members can gather at weekly meetings with and present a guest speaker. Clubs, such as this one, plan several events that are open not just to members, but open to the community as well. Throughout the world, several groups of gardeners have formed social clubs where members can show off their garden grown goods and receive awards. Some of them even offer college scholarships. One of the biggest reasons I personally prefer home grown fruits and vegetables is because of the taste. I’m sure everyone will agree with me that taste is everything in food. Any chef will tell you, the fresher the ingredients, the better tasting your meal will be. There are many ways to bring out the flavor in your ingredients. One way is referred to as companion planting, and as you can see here, by planting certain plants next to each other in your garden, you can not only enhance the flavor of the plant, but you can also help repel unwanted worms and bugs from eating or destroying your crops. Greenhouses are also extremely eco-friendly outdoor buildings to grow gardens in. By trapping the sun’s heat and light inside the structure, they promote photosynthesis in plants, creating oxygen for the planet. Greenhouses are very versatile buildings. They come in a huge variety of shapes and sizes, as well as material, and can be customized to fit your exact specifications. They are used by corporations who grow crops for food or even experimental purposes. Materials used to build greenhouses could be simple wood and plastic structures, or a larger metal frame with panes of glass. Healthy eating is a growing trend to many people in the US. It helps reduce stress, helps control weight, can improve mood, and can also boost energy. If we combine those benefits with the benefits of what greenhouses can bring us, the alternative is not really a choice at all. The benefits of greenhouses exceed what I can put here. 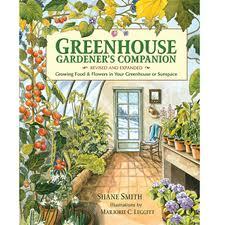 Readers, what has been some of your experiences with greenhouses and organic gardening? Mackenzie Kupfer is from Boise, ID. She gardens to her heart’s content and is a student of horticultural history. With her passion for learning she plans to be a lifelong student of the Earth. Vegetable gardening, writing and experiencing the beauty of nature are just a few of Mackenzie’s favorite things.